Several weeks ago I wrote about the catalog for the exhibit Bruegel Defining a Dynasty by Amy Orrock. 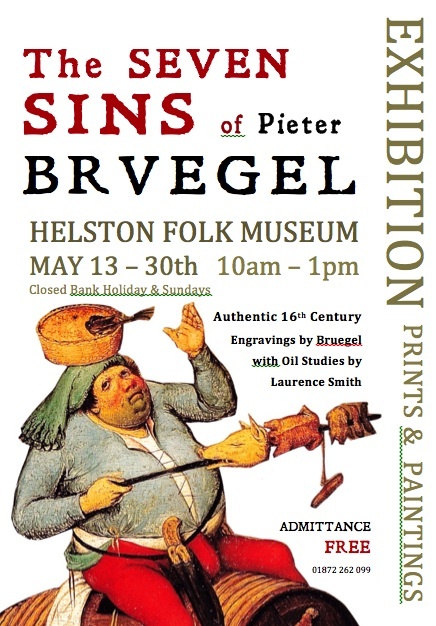 Now, having seen the exhibit firsthand, I can confirm what I suspected after reading the catalog; that the exhibit, presented by outgoing museum director Jennifer Scott, is a marvelous exploration of the Bruegel family brought vividly to life. Smartly, the exhibit begins with an overview of the Bruegel family tree, showing the relations of family members whose paintings will be viewed in the coming rooms. A work from the genius at the top of the family tree, Pieter Bruegel the Elder, greets us as we enter the first room. The Adoration of the Kings, 1564, is Bruegel at his finest, a visual feast for the eyes along with not-subtle commentary that reflects how some on-lookers appeared to be more interested in the gifts brought for Christ than the child himself. One of the exhibition’s aims was to show that Pieter the Elder’s two male children, Pieter the Younger and Jan the Elder, were not simply copyists, but added their own personalities to scenes that their father first painted. Comparing Jan the Elder’s version of The Adoration of the Kings, for example, is a wonderful example of how Jan adjusted and enhanced his father’s composition, by adding elements like a town in the background and details of the dilapidated stable where the scene is set. The Bruegel exhibit also showcases works painted outside of the family, such as the version of Netherlandish Proverbs included here. This work is intriguing because it omits one fourth of the proverbs found in Bruegel the Elder’s painting. Further, it is much smaller than the copies made by Pieter the Younger and his studio, and does not contain the characteristic underdrawing found in Pieter the Younger’s works. Scientific analysis indicates that it was produced at approximately the same time as the works by Pieter the Younger’s studio in the early seventeenth century. However, this work contains aspects of the completed Bruegel the Elder painting that are not included in Pieter the Younger’s copies. This means that while Bruegel the Younger did not have access to his father’s completed painting, the painter of this work did have access. How non-family members could have accessed the painting is just one of the mysteries discussed in the exhibit. Family members showed their expertise with other genres such as still lifes, which Jan the Elder and Jan the Younger were undisputed masters. Jan Brueghel the Elder’s grandson, Jan van Kessel, is represented in four small paintings that depict insects set against a light background. The pictures gleam through the copper substructure, with the insects painted in minute detail. 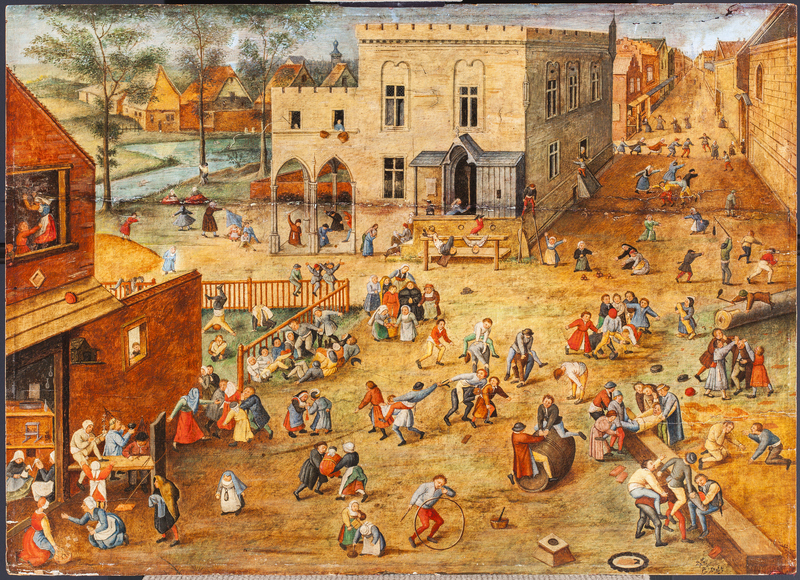 There are many mysteries still to be solved within the family, such as what was Pieter Bruegel III’s role in his father Pieter Brueghel the Younger’s workshop. Exhibits like this one allow us to revel in the depth and breadth of the family’s output, and consider the many mysteries still be examined. Bruegel: Defining a Dynasty by Amy Orrock (Philip Wilson Publishers, 2017). Published to accompany the exhibition Bruegel: Defining a Dynasty (11 February – 4 June, 2017) at the Holburne Museum, Bath, UK. Perhaps the best known dynasty in the history of painters, the Bruegel family flourished for nearly 150 years. 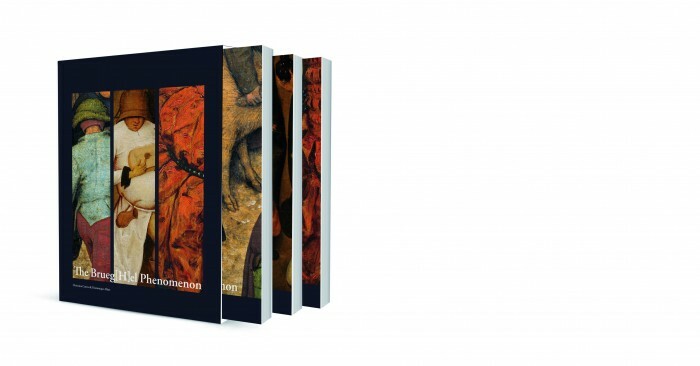 This book, written in conjunction with an exhibit that showcases the depth and breadth of the Bruegel clan, provides a history of the family along with visually dazzling key works. 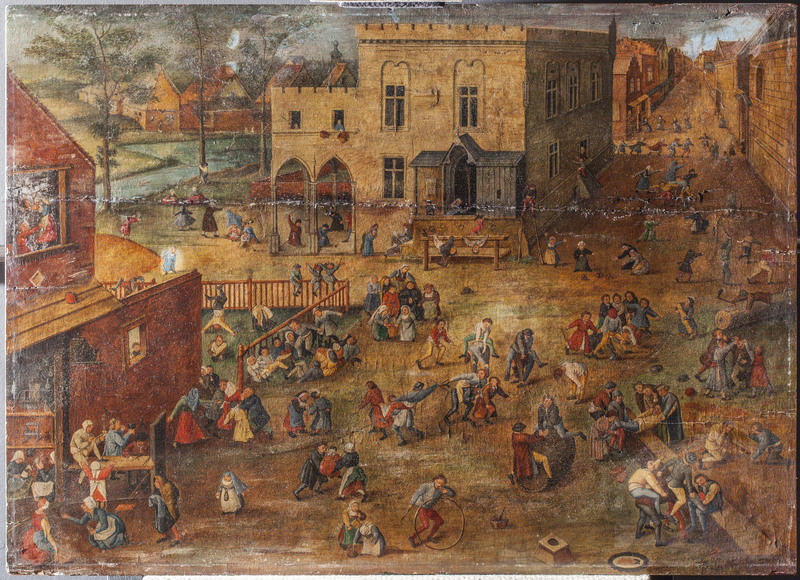 The centerpiece of the book is the section that details the attribution of The Wedding Dance in the Open Air to Pieter Brueghel the Younger. The “heavy dancers” depicted in the painting are some of the best known figures of Bruegel’s oeuvre. Yet this painting was originally thought to be a copy by a follower of Brueghel the Younger. Key to the attribution was the cleaning of the painting. The pre- and post-conservation images portray a drastically different work. Before conservation the work looked like a nocturnal scene, covered in layers of discolored varnish and numerous retouching. The restoration, carried out by Elizabeth Holford, led to a greatly lightened, visually stunning painting. 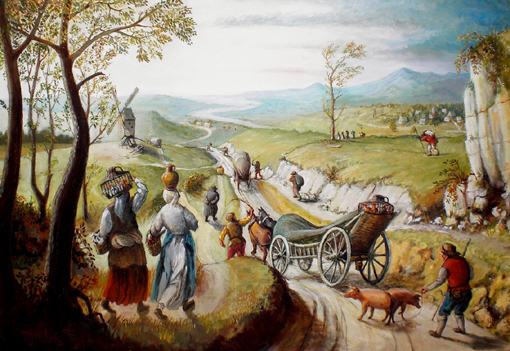 Christina Currie and Dominique Allart, who wrote the definitive scientific examination of Pieter Brueghel the Younger’s output several years ago, examined the work and secured its attributed to the artist. 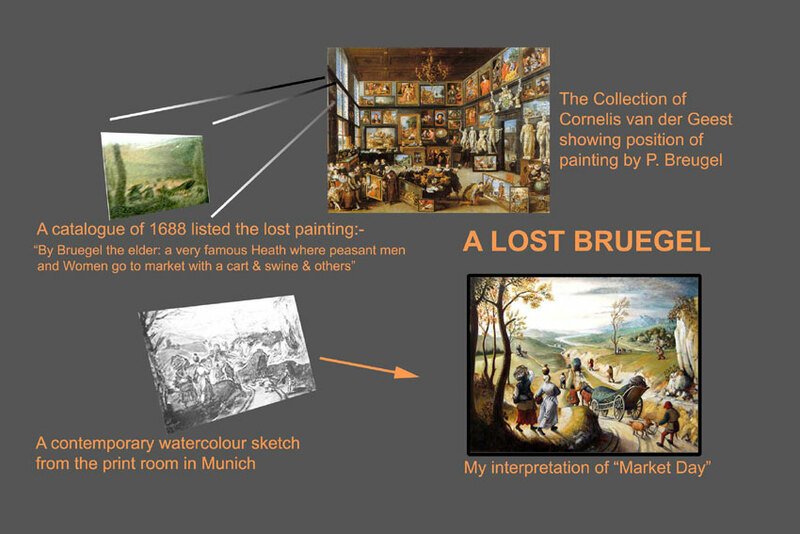 They studied the painting’s underdrawing, which conformed to paintings typical of Pieter Brueghel the Younger. They concluded that he work “… equals that found in the other versions studied, signifying that it belongs within” the Brueghel the Younger group. Jan Brueghel the Elder’s grandson, Jan van Kessel, excelled in small paintings of “naturalia,” which mimicked insect and other types of animal specimen that were difficult or impossible to obtain. Highlighted in the book are four small paintings on copper panels that depict native insects against light backgrounds. One of Pieter Bruegel the Elder’s greatest patrons was Niclaes Jongelinck, who owned 16 of his paintings. The paintings were hung at Niclaes Jongelinck’s villa, called ‘Hof Ter Beke’, which was then located outside of the city walls of Antwerp. Sadly, Niclaes Jongelinck’s house is no longer standing. As I was preparing for a trip to Antwerp, I thought it would be interesting to attempt to locate where his house would have stood in present-day Antwerp. I set about trying to locate his house in the hustle and bustle of modern-day Antwerp. I enlisted the staff at Antwerp’s Urban Planning, Archaeology and Monuments Department in helping me pinpoint the exact location where his house would have stood. The Antwerp team indicated that it was very difficult to locate the exact position of the original building on a present day map as displayed on 17th century maps. The old maps do not have the necessary precision to use them in a computer geographical information system (GIS). However, as you will read, they did provide remarkable insight into the likely location of the house. The Antwerp team reported that one author, Rutger Tijs, indicated that the house of Jongelinck is located between the Hof Ter Bekestraat, Sint-Laureisstraat, Haantjeslei and Pyckestraat. According to Van Weghe, in 1885 the then-opened Moonstraat ran across the estate, which the Antwerp team thinks is the last ‘Hof Ter Beke’. (The current site is industrial buildings.) The Antwerp team investigated the site in 2005, but did not find the remains of structures older than the early 20th century. Others also investigated the likely location of Niclaes Jongelinck’s house. The Antwerp team reported that Plomteux, Prims and Vande Weghe stated that the site where the villa owned by Niclaes Jongelinck once stood can be located between the current streets Hof Ter Bekestraat, Broederminstraat, Lange Elzenstraat and Oudekerkstraat. The Antwerp team agrees with this conclusion and indicate that on the maps of 1617 and 1624 the Jonckelinck villa is clearly shown on the south side of the present day Markgravelei while the other possible location (cf. Rutger Tijs) is clearly indicated on the north side. According to Vande Weghe, in 1872 a new street called the Jongelincxstraat was opened on the estate witch was then owned by the Van den Broeck family. Prior to their ownership, Madam Schul was the owner. Further, in 1873 a new street, the Coebergerstraat, was opened on the estate. According to the Antwerp team this portion was owned by Van Put and Wilmotte. The Antwerp team says that it does not seem likely that any of the original buildings survived. According to the list with building permits held at the City Archives, the area was built up in a short period of time from 1872 onward. The largest part of these houses are one family residential buildings dating from 1872 forward. Niclaes Jongelinck’s villa (indicated on maps in 1617 and 1624 but not on the map from 1698) or at least a building which it replaced is drawn on the 1802 and 1814 cadastral drawings. On the 1836 drawing it is not present. The Antwerp team assumes that it was demolished somewhere between 1814 and 1836. When the Antwerp team tried to project the 1814 drawing on a geographical information system present day map, it seems that the buildings location is under or in the neighborhood of the present day building Coebergerstraat 35-37. The team indicates that the precision of this location is as good as the precision of the 1814 map and the number of comparison points they found. Thus, they conclude that an error of a few meters, but not more, is possible. So, for those going to Antwerp, we at Bruegelnow.com recommend a visit to Coebergerstraat 35-37! Many thanks to Georges Troupin, technisch bestuursassistent, Stad Antwerpen, Stadsontwikkeling, archeologie, monumenten- en welstandszorg, for his substantial assistance solving this puzzle! G. Plomteux G. & R. Steyaert met medewerking van L. Wylleman, Inventaris van het cultuurbezit in België, Architectuur, Stad Antwerpen, Bouwen door de eeuwen heen in Vlaanderen 3NC, 1989 Brussel – Turnhout. Rutger Tijs, de twaalfmaandencyclus over het leven van Pieter Bruegel als interieurdecoratie voor het huis van plaisantie ‘ter Beken’ te Antwerpen. in J. Veeckman (red.) Berichten en Rapporten over het Antwerps Bodemonderzoek en Monumentenzorg 3, Antwerpen 1999, p. 117-133. Roberd Vande Weghe, Geschiedenis van de Antwerpse straatnamen. Antwerpen 1977. Over the past few months we have had an opportunity to study an interesting “Children’s Games” variant. We have studied the infrared reflectography image taken, as well as an X-ray image and several images created with various light and dark shading. First, this image (below) clearly indicates that the painting is quite dirty through age and discoloration of varnish. 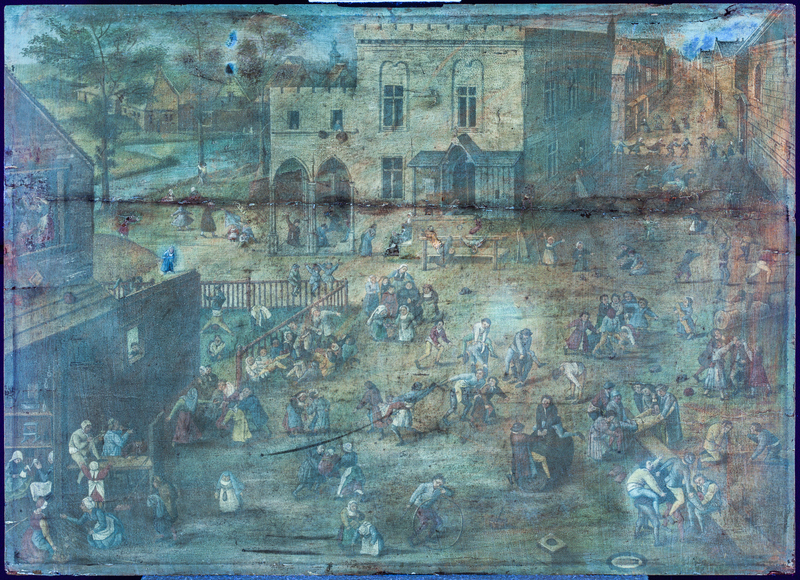 This image (below) with light raking from the right side make clear the few small places on the painting which have been cleaned, so the bright colors of the original panel come through, such as in the upper right corner where the sky has been cleaned and the middle left, where the young girl has been cleaned. An ultraviolet light image (below) shows clearly some of the damage to the painting that has occurred over the decades. The most pronounced damage is along edge where the first and second panels were joined together. There also is damage in the middle of the painting with a few scratches. One of the mysteries that we are trying to solve with this analysis is to determine when the painting was created. 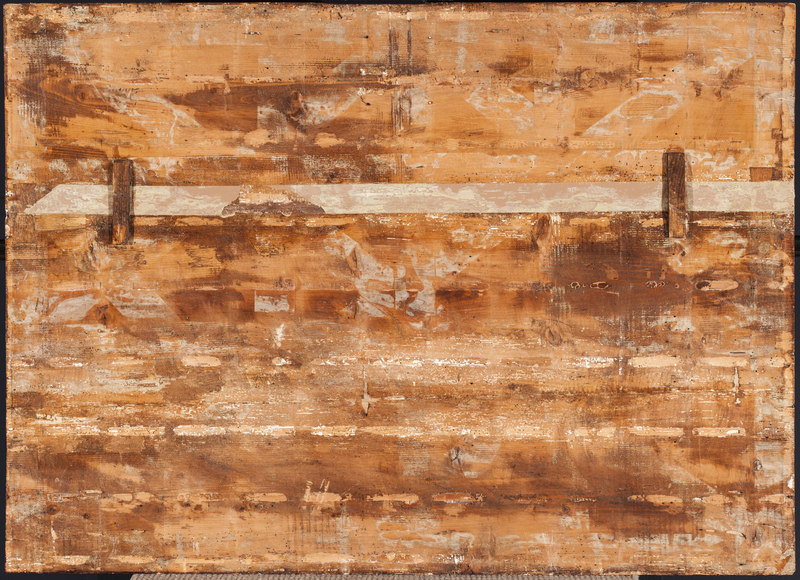 The image below of raking light on the back of the painting clearly shows that the 3 boards which comprise the painting were created with saw-type tools, and don’t appear to be created by a machine. 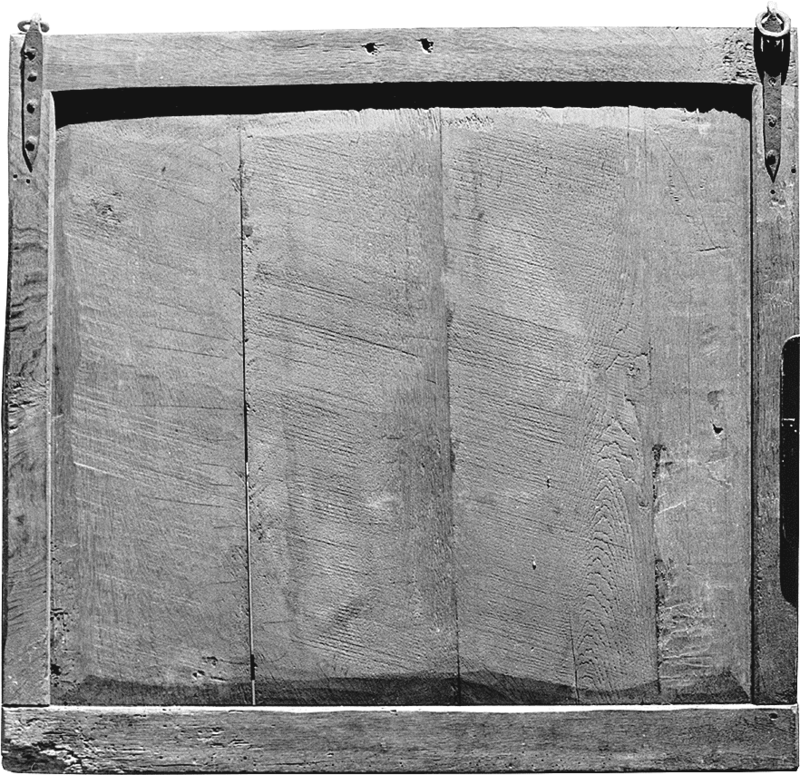 A recently published monograph “Frames and supports in 15th- and 16th-century southern netherlandish painting” by Hélène Verougstraete has been instructive in our analysis of the marks on the back of the panel. This has been instructive relative to how the panel was created. While none of the images in the monograph are an exact match, some, such as the figure a (page 33) appear to be somewhat close. However, we aren’t able to date the panel with certainty based on this information. 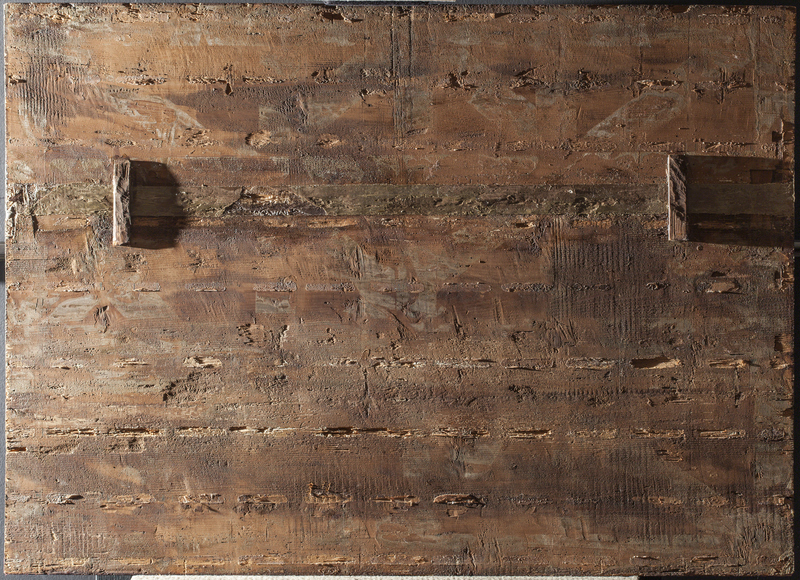 The image below clearly shows the repair that panel has undergone, most noticeably the increased support that the panel has had to repair and support the joining of the first two panels, where the damage in the other panels can readily be seen. We are continuing to examine this panel and look forward to sharing our findings here!